This year has been exceptionally blessed for me, and as we approach a time where thankfulness is deeply on our hearts, I find myself reflecting on just that and feeling so humbled by it. The list of things I am thankful for this year is probably the most protracted of my entire life. I have received more love, happiness, peace of mind, safety, good health, clarity, family, friends, success and growth than I believe I have deserved. My heart hasn’t felt this complete and balanced in a very long time. In honor of this amazing year, I have started a new project that provides a unique experience for a very deserving woman in need of reinventing herself. 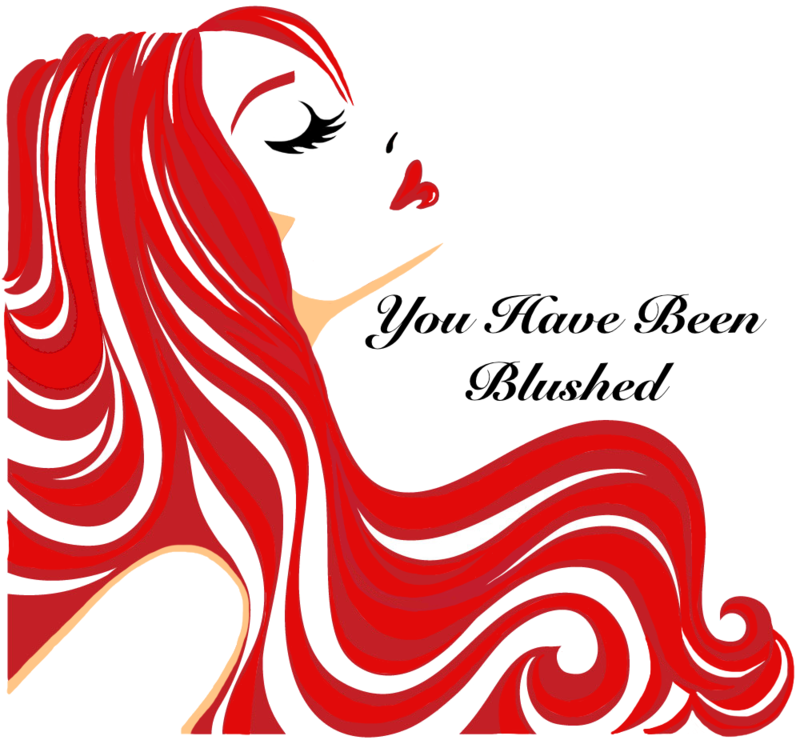 The Blushed Award is an all expenses paid Hollywood Makeover of Epic Proportions. So here is how the contest works. I need all of you to get the word out and send me your nominations for an exceptionally deserving woman in your lives. Please use this submission page where you can submit answers to some questions and tell the story of your nominee. Of course, you may nominate yourself! You may also get multiple people to write me on your behalf. I will be accepting nominations between now and Christmas Day. I will be reading every entry that comes in, and with the help of a small committee, announce the winner on New Year’s Day 2016. A photo-session with Michael Colyer Artography with hair and makeup services provided by me too! Two finished prints from the photo-shoot. Several entertainment passes to amazing local shows including Bohemian Cult Revival, Dr. Sketchy’s Anti-Art School of Kansas City, and more! Hand-crafted beautiful feathery angle wings from Mia Marie. This weable are piece will look phenomenal as part of the photo-shoot being gifted to the winner, as well as a beautiful reminder of this experience as the first Blushed Award Winner! Display them in your home, go out on the town for a special dress up event. There are many ways to enjoy something so unique and created from such a passion for art. Thank you Mia for your selfless contribution! I have no doubt they will go to someone who will truly appreciate them! Note from the artist: My wings were created for women and men to feel their absolute best about themselves. You can be any shape or size and they will still make you feel beautiful. They are hand crafted and very unique. Everyone one of my wings are created for all different aspects of life. So here is what I’m looking for: Someone who could really use an experience of this magnitude*. Why is she in need of a complete makeover? Tell me as much about her as you can! Feel free to provide pictures and any other visual aides relevant to your cause. If you are reading this and would like to donate something else to our winner feel free to contact me with your details. Let’s all make some magic together. *Nominee must be a local resident and responsible for their own travel to and from all awarded services, events and gifts. The winner also must be at least 21-years-old and be willing to sign a release to use their name and image on RubyBlushBoutique.com and various social media platforms as the recipient of the Blushed award.